Five suspects detained for the murder of the commandant of the Command Secondary School, Apata Ibadan, Oyo State, Col. Anthony Okeyim, regained freedom yesterday. The suspects, two soldiers and three civilians, were granted bail at the State CID, Iyaganku, Ibadan, where they were detained for a month and four days. 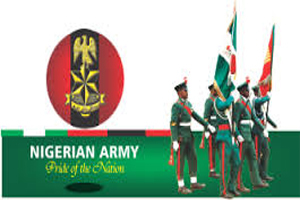 The Deputy Director Public Relations, 2 Mechanised Division, Nigerian Army, Odogbo, Ibadan , Col. Timothy Antigha yesterday announced that the Army would brief the media on the state of investigation into the death of Col.Okeyim ,former Commandant Command Secondary School, Apata Ibadan today at the Headquarters 2 Division. The Army had last week vowed to track down killers of the erstwhile Commandant, Command Secondary School, Apata, Ibadan. The army said it would do everything possible to fish out Okeyim killers as it works in conjunction with the police and the Department of State Services. Col. Okeyim was murdered in the premises of Command Secondary School Apata Ibadan on December 12, last year.